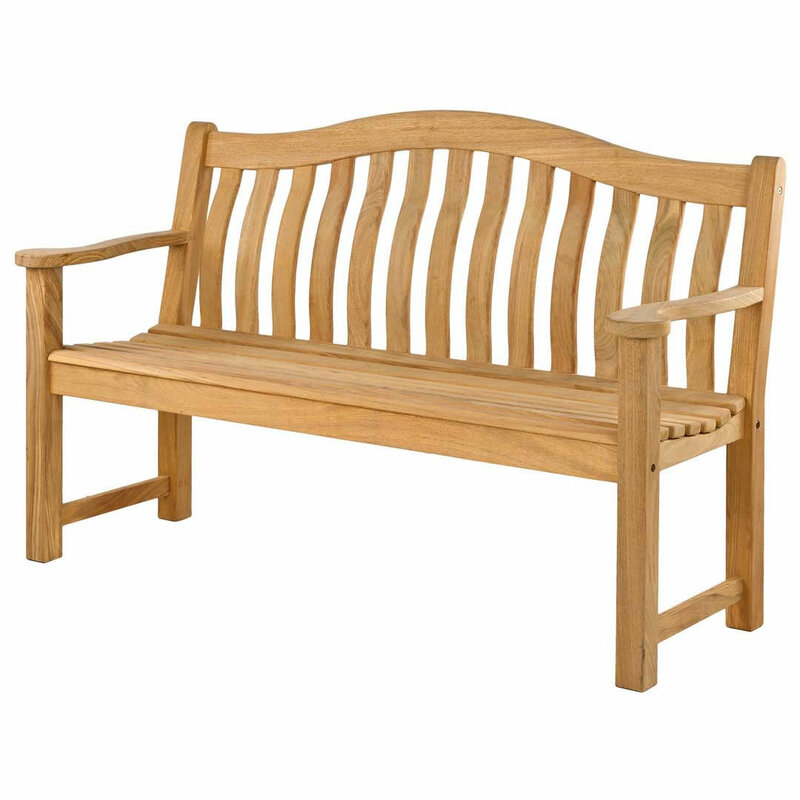 The Roble Turnberry 4ft Garden Bench is manufactured in Alexander Rose's own factory in Boliva. 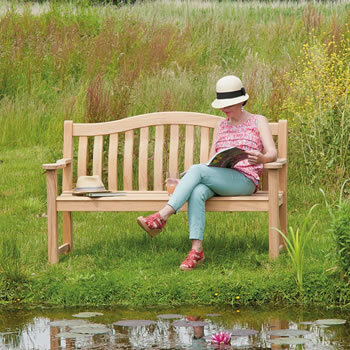 The timber is extremely durable, it has a smooth lustre, with closely interlocked light yellow grain. The quality and durability is match with the styling with a sleek curved back. Roble is a hardwood that is light yellow in colour with a smooth lustre. 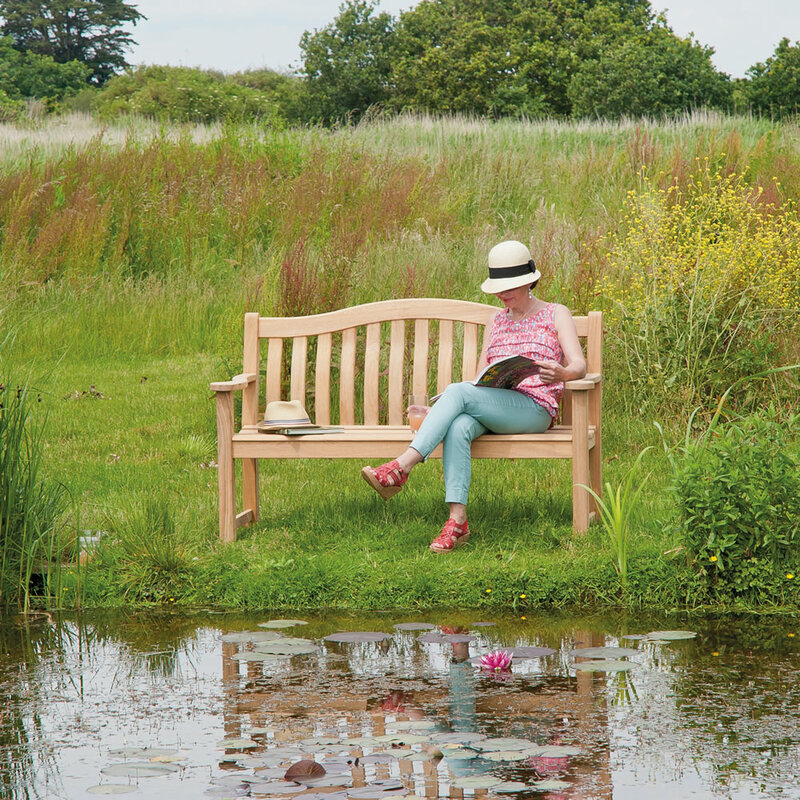 It shares similar qualities with teaksuch as weight, density and durability. 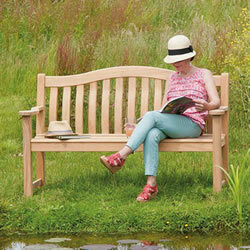 Alexander Rose source their Roble from Bolivia and it is 100% FSC. It has a 10 year warranty and a durability of up to 25 years.